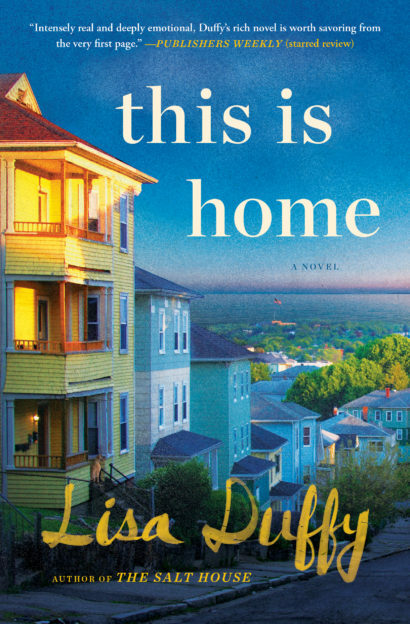 From the author of book club favorite The Salt House comes an elegant and deeply affecting novel about a teenage girl finding her voice and the military wife who moves in downstairs, united in their search for the true meaning of home. Sixteen-year-old Libby Winters lives in Paradise, a seaside town north of Boston, that rarely lives up to its name. After the death of her mother, she lives with her father, Bent, in the middle apartment of their triple decker home—Bent’s two sisters, Lucy and Desiree, live on the top floor. A former soldier turned policeman, Bent often works nights, leaving Libby under her aunts’ care. Shuffling back and forth between apartments—and the wildly different natures of her family—has Libby wishing for nothing more than a home of her very own.